What? Where? 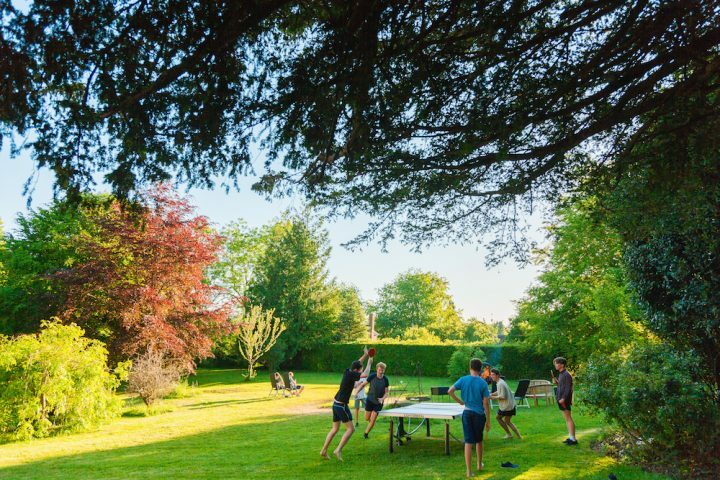 Port Regis is a co-ed, day/boarding prep school for children aged two to 13 in a stunning mansion in the heart of Motcombe Park in Dorset, with Shaftesbury and Gillingham within throwing distance, and Salisbury and Frome each about 20 miles further. 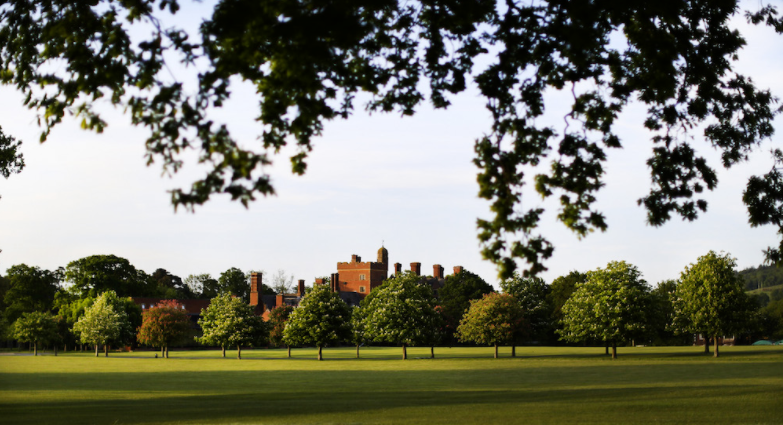 300 pupils make this glorious 150-acre setting their home for at least most of the day (although there is a near-90% take up rate of boarding in the top two years). The main house was built in 1894 for aristo Richard Grosvenor and the school made it their home post-war after moving from Broadstairs, following a short jaunt camping out at Bryanston School while the house was renovated. Girls were welcomed into the fold in 1976. Facilities: The Mansion Building is the life blood of the school, with 360-degree views over immaculate lawns, walled gardens, forests and even a 9-hole golf course. The huge amount of space afforded by such a large building means there is a Parents’ Room where parents can hang out with their little ones between Pre-Prep finishing (3.30pm) and the Prep School knocking off (4.30pm for Years 3-5, later in Year 6+ depending on activities) to get homework done, music practise (there is a piano here) or just read a mag and have a cuppa. 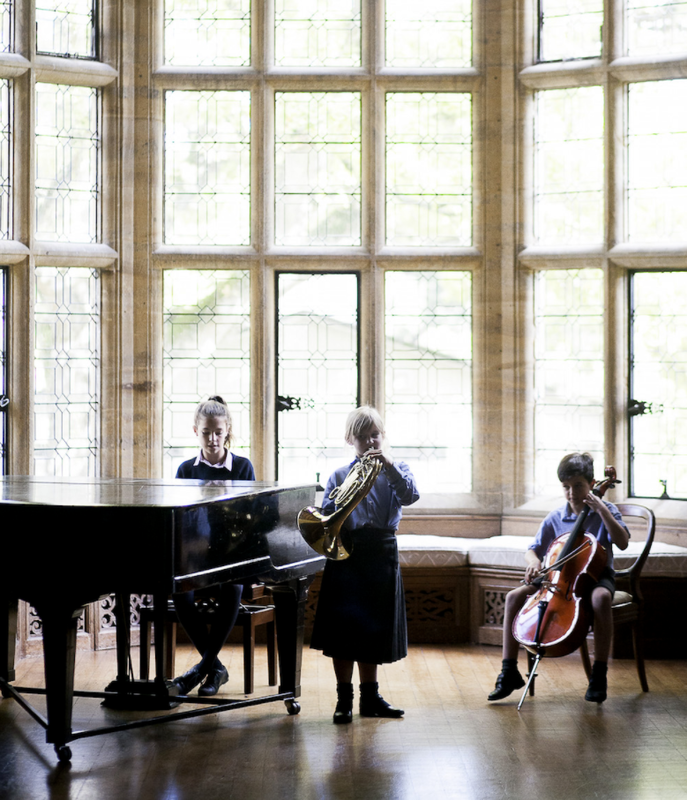 An impressive Old Assembly Hall is used for parents’ meetings, open days and Christmas carols, as well as street dancing and fencing clubs, even an indoor scooting venue for rainy days. The house is full of nooks and crannies (a Harry Potter cupboard under the stairs full of ballet shoes), sweeping Scarlett O’Hara staircases and wooden panelling yet still manages to feel comfy and cosy. Facilities here are whopping. There are the obvious rugby, football (unusually, boys play rugby and football in the first term, and hockey and football in the second), cricket and astro pitches but they have two (two!) 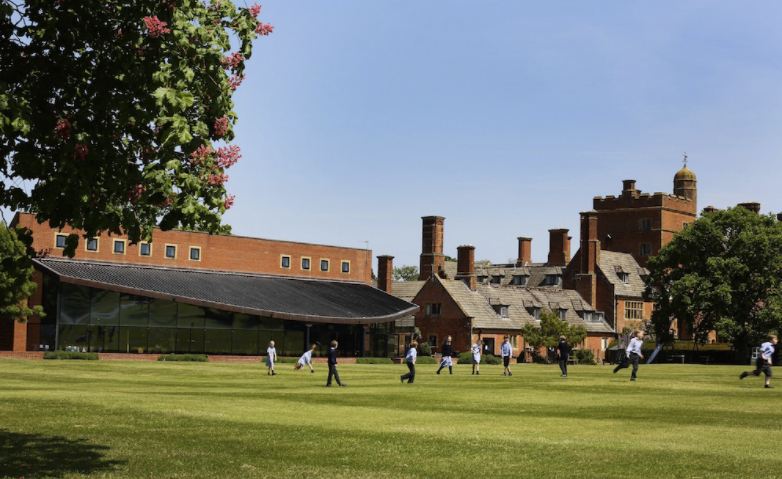 sports halls, one with a full-sized indoor pool so impressive that it is open to the public at certain times, a separate playground for the Lower School (Years 3 and 4) and tree house for Middle School (Years 5 and 6). There are plenty of cross-country routes through woodland and over streams, an assault course and loads of space to generally get down and dirty in. Oh, and did I mention the golf course? It is the non-sporting facilities here that are really impressive. The art block, known as Cunningham, has ceramics, art, tech and CDT rooms the likes of which I’ve rarely seen outside of a senior school. The block is so huge you could get lost in it and the equipment, including laser cutter, 3D printer and kilns, help the children produce creative works that look positively professional. Year 3 upwards have at least four creative lessons each week covering everything from up-cycling to stripping engines, and the work undertaken here is absolutely equal to successes in the classroom or on the sports field. 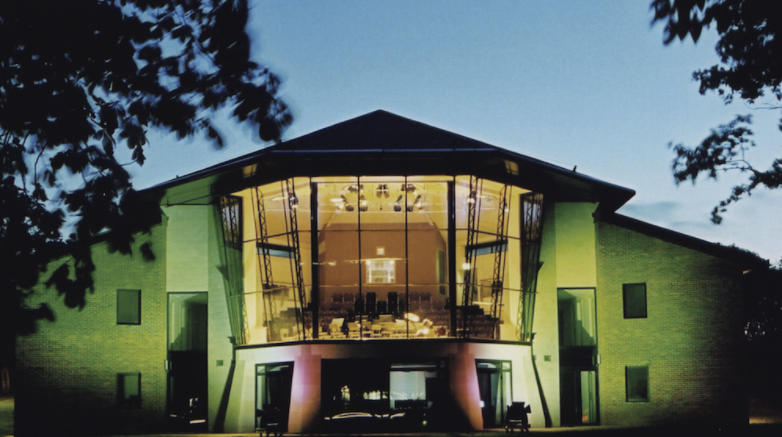 The Music School is let out to the public too (Shaftesbury Orchestra play their tunes here on a Friday night) and as well as individual practise rooms and music theory classrooms it has its own concert hall. New for autumn 2018 is the opening of the Magic Garden – a secret garden for the Lower School. 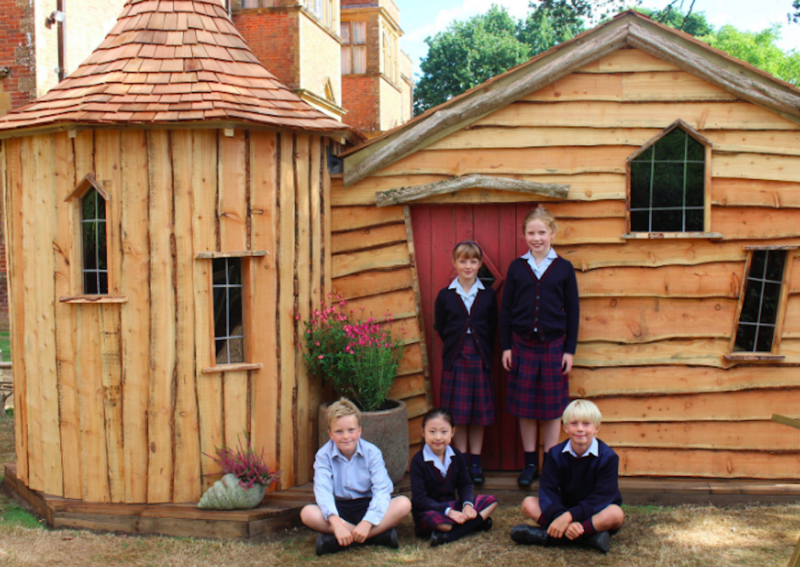 Over the summer holidays the school’s in-house maintenance and grounds team were hard at work preparing a wonderful new garden, which can be entered into either via a tunnel or through a wardrobe, Narnia-style! 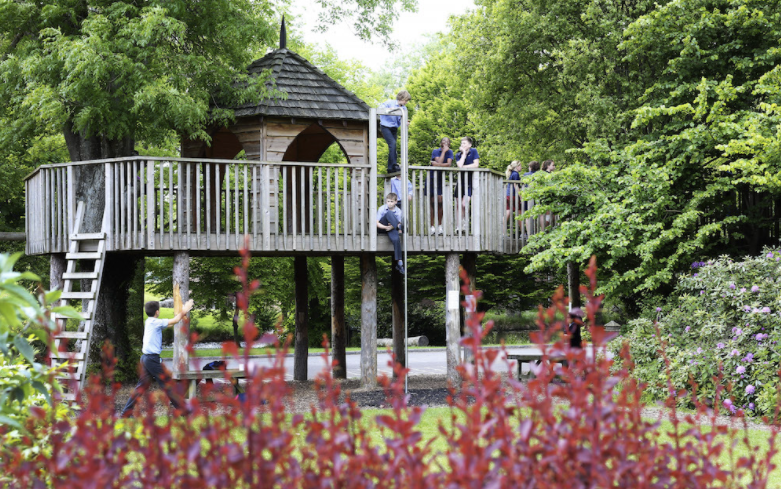 As well as wooden playhouses there are also grassy beds, chalk boards and quiet play areas where the children can sit and daydream. Academic results: Class sizes are small with rarely more than 15 in a class and no more than 3 classes in a year, with years divided into 4 sets in Upper School. The Prep is divided into three sections – Upper, Middle and Lower – with a head for each, so pastoral care is strong. 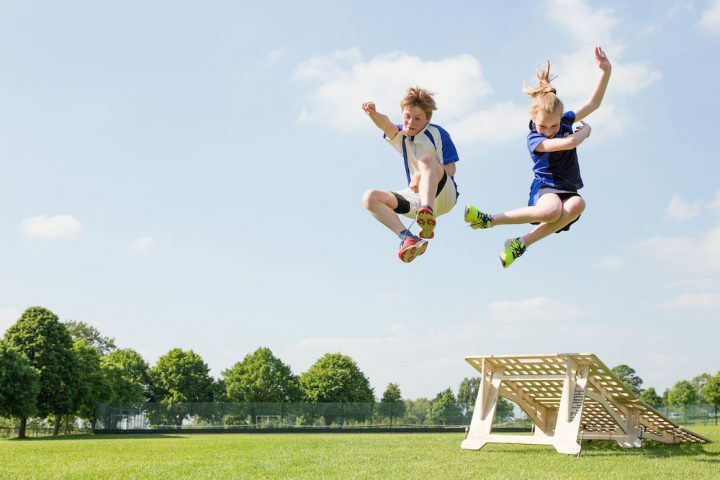 Prospective pupils, apart from those rising from Pre-Prep, will sit an entry assessment but this is more to establish that they will enjoy life here rather than selecting based on ability. While the school is proud of their mixture of abilities, academics are not slack and they punch high when it comes to senior schools – a few years ago they sent 5 boys to Eton. Having said that, this is not an academic hothouse and whilst the most able will head for the spires of Harrow, Eton, Winchester, Wycombe Abbey and Cheltenham Ladies, the majority zoom towards Marlborough, Bryanston, Sherborne and Canford. Results from 2018 Common Entrance saw all candidates flying into their first choice senior school, with an outstanding number of A* and A grades in their CE papers. Pupils were awarded a total of 21 scholarships to their future schools, including academic, sport, art, design, engineering and technology and all-rounder. What must be said here, and what I really walked away with after my visit, was that Port Regis brings out the best of pupils in all subjects. They don’t have to be amazing at maths or rugby, a whizz recorder player or keen potter is of equal value, and every child finds something they love. With all the facilities here, I’m not surprised. 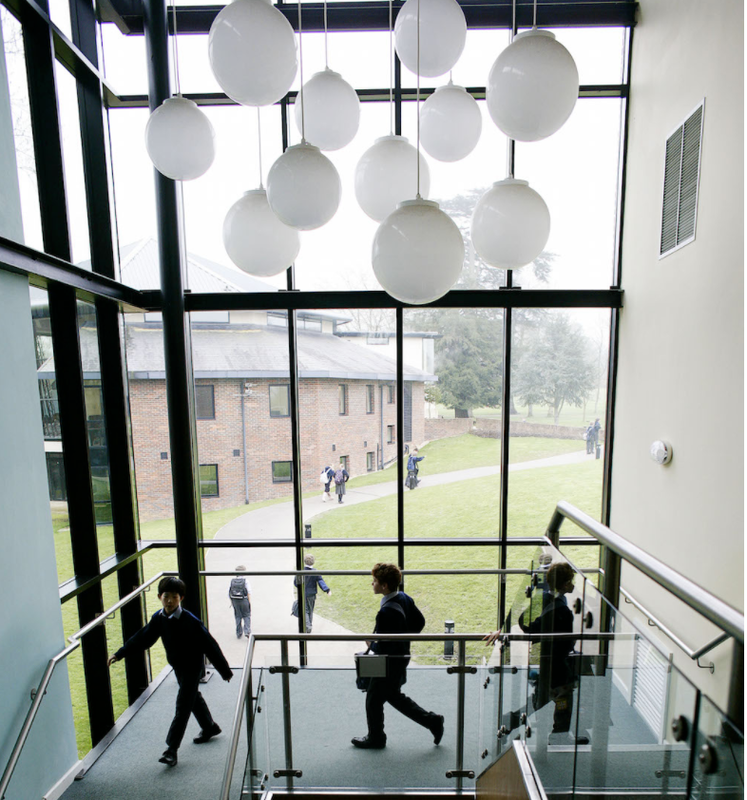 The Upper School has its own building and feels much more like a Senior School, with independence encouraged as pupils move around for lessons and return to tutor groups for registration, which could be in any part of the school. You do get to choose your own tutor though! Boarding: Most definitely. 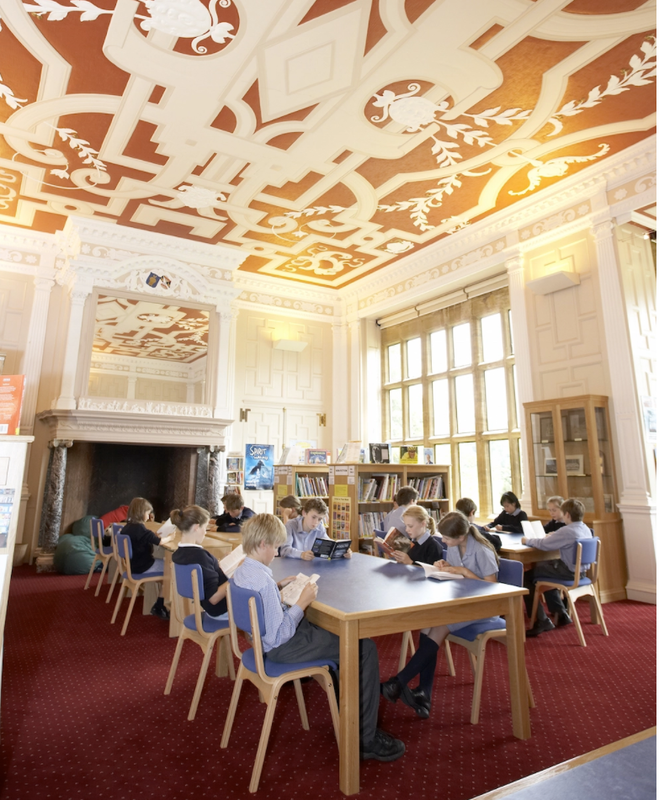 While the school offers flexi boarding and day-only options, it has the feel of a full boarding school, with 90% of pupils in Years 7 and 8 boarding and plenty more boarding lower down the school (50% by Year 6). I spent a lot of time snooping around the dorms and quite frankly I’d like to live here. Divided into Junior, Senior and Transitional boarding, there are a good chunk of Forces’ families, overseas boarders from China and Russia (plus the obligatory Spanish kids that rock up for Year 7 and raise the standard of the football teams) and enough children from London (as well as more locally – three quarters of children live within 10 miles but lots still board) to make for a proper sense of boarding with a full schedule of weekend and evening activities. They have occasional boarding here too (why don’t all schools do this? It’s a great idea) – a B&B arrangement where, for £50 a night, your little one can bed down in a main dorm and have a proper sleepover. They keep a substantial number of beds for this and you won’t be surprised to hear that it is extremely popular. The dorms are cosy and lived-in, huge bright rooms with high ceilings and, while there are a few shabby sofas and scuffed walls, they feel like home. There are funky phone boxes to call from in the evenings (absolutely no mobiles allowed), Common Rooms with bean bags and pool tables and table football galore – a boarder roller skating down the halls wouldn’t look out of place. Evening activities include everything from horse riding, tennis, ballet and fencing to Airfix model making, needlework and art. Weekends are filled with Nerf Gun wars, themes such as Harry Potter or Cowboys and Indians, balloon stompeeding (no, me neither), cattle coralling, campfires, indoor camping and the odd trip to the beach, local airfield or Bath Christmas market. The point is, there are enough kids here at weekends to make it fun, fun, fun! 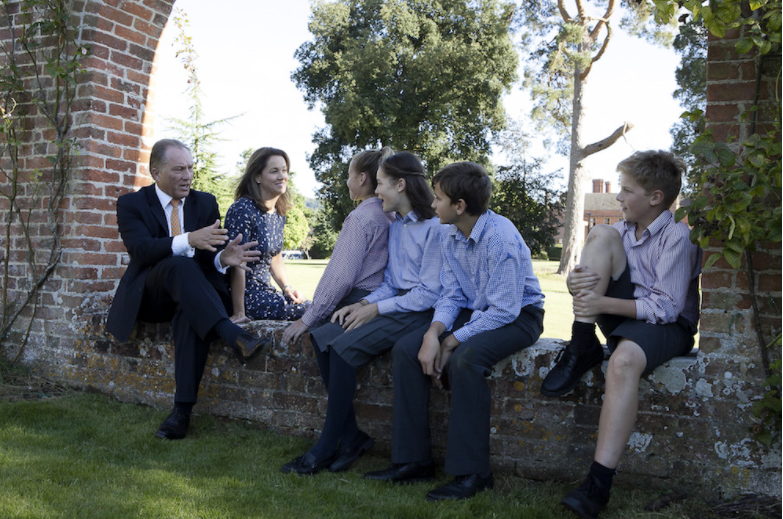 Headteacher: Stephen Ilett is the main man, moving here from his position as Headmaster at Milbourne Lodge in Surrey and 8 years at Caldicott before that. He has only been here two years – good news because he’s not going anywhere soon. Both he and his wife Amanda were very impressive – in their time here they have clearly grasped what Port Regis is all about and are also making inroads to modernise boarding such as introducing buses to and from West London for exeats and half terms, which may well extend to Sunday nights, and making boarding more flexi. What else? Unsurprisingly, with their own personal concert hall, music is big here. There are orchestras, samba bands, recorder groups, string groups and choirs galore, plus there is a play each year for all pupils and drama and music lessons all the way to Year 8. Forest School is taken seriously, with proper lessons outside from Pre Prep to Year 4. Forest Scouts is also held here. The Learning Support department spreads out in colourful sofas and work spaces across the whole of the top floor of Cunningham where pupils have one-to-one as well as small group sessions. There is strong support for a wide range of children with learning needs and they have their own speech and language specialist, although they don’t profess to offer suitable support for those with extreme learning needs or who are highly dyslexic. Quirks: The biggie here is the breadth that is on offer. I don’t mean just the physical facilities, although it is lovely to cross a bridge over Bob’s Pond to get to the Upper School building, but the benefit of what is on offer combined with the attitude at Port Regis means that, whether academic, musical, sporty or an interest in reconfiguring NASA software, whatever each child is good at, the school will find it. Children are encouraged to try their hand at anything and everything. The space here means that the classrooms and common rooms enjoy a bright, relaxed feel and outside bikes, scooter and rollerblades are welcome. It would not be unusual to find boarders camping inside in the Old Assembly Hall and toasting marshmallows on the fire. There’s loads of old-fashioned fun to be had and I loved the fact that I counted at least four dogs ambling around the site or joining in lessons. 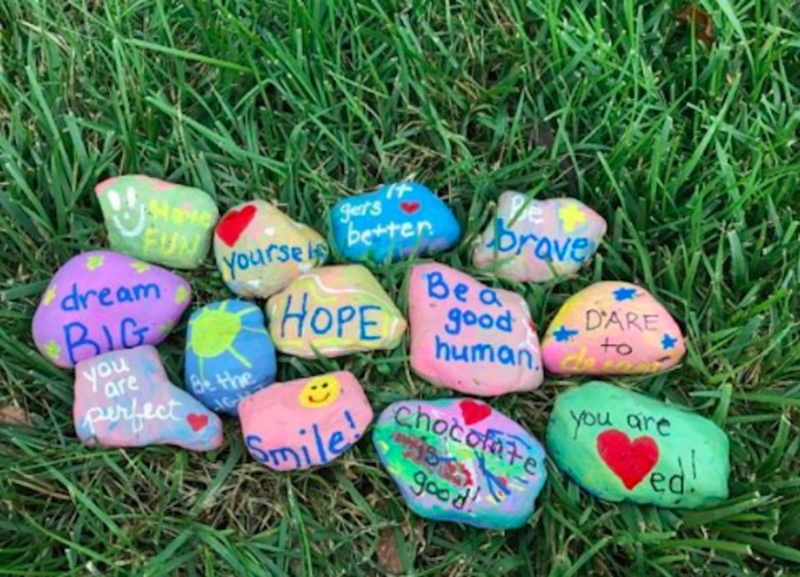 A highlight of 2018 is the school’s ‘Kindness Rocks’ project, based on the premise that one message at the right moment can change someone’s day, their outlook, and, indeed, their whole life. The children have been thinking about being compassionate and kind, as well as having a lot of fun painting rocks and pebbles and hiding them around the School grounds. I was particularly impressed with the school’s commemoration of the centenary of Armistice Day. 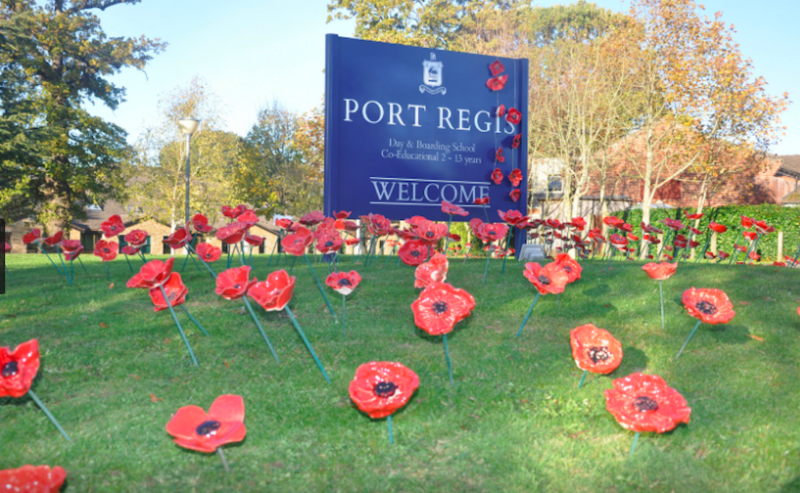 The children made their own ceramic poppies and then created an installation in the school grounds, inspired by the famous ‘Blood swept lands and sea of red’ exhibition showcased at the tower of London in 2014. Wow! Wraparound care: Good. The nursery runs from age 2 and once children hit the Prep School the hours are long – even day pupils can stay until 6.30pm. Fees: Pre-Prep £2,990 per term; Year 3 day pupils £5,200 per term, Year 4-8 £6,450; Boarding £8,950 per term for Years 3-8. Flexi boarding and occasional boarding available. Word on the ground: Parents talk about the ‘Port Regis magic’ that transforms their children. They say the pastoral care is excellent, helped through the tutor system and frequent staff meetings. 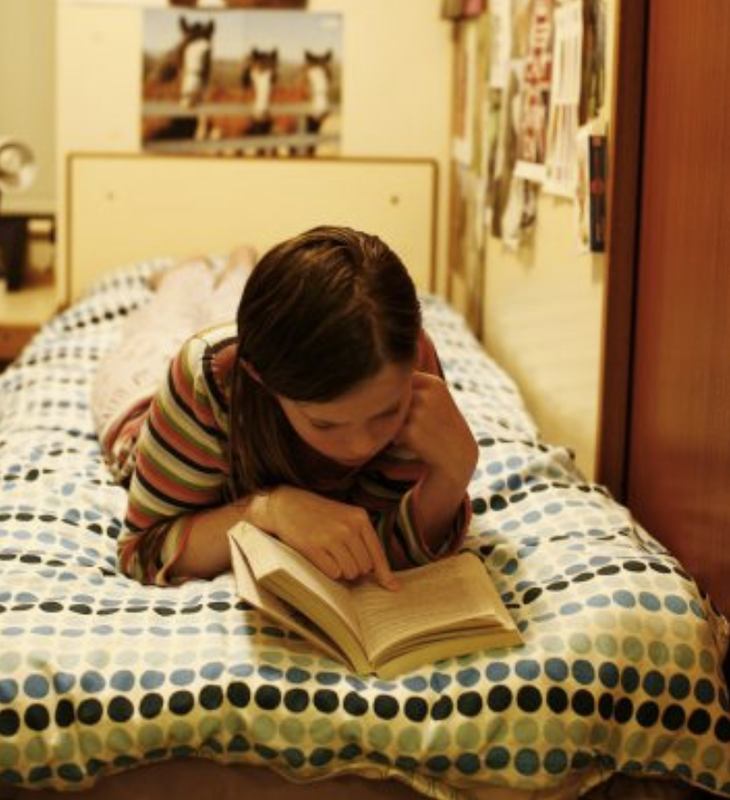 While Lower and Middle School children are nurtured, the older pupils learn independence. Parents welcome the uniform change from two uniforms – one for good and one everyday – to the bog standard one-with-a-blazer-on-top option, and are keen on Saturday midday assemblies where children are awarded certificates for piano exams, Tidiest Dorm and Man of the Match, before all having lunch together in the mammoth dining room. Good for: Gung ho, independent types with an enthusiasm for life, keen to muck in and try everything. Those seeking adventure as well as a rigorous academic education. 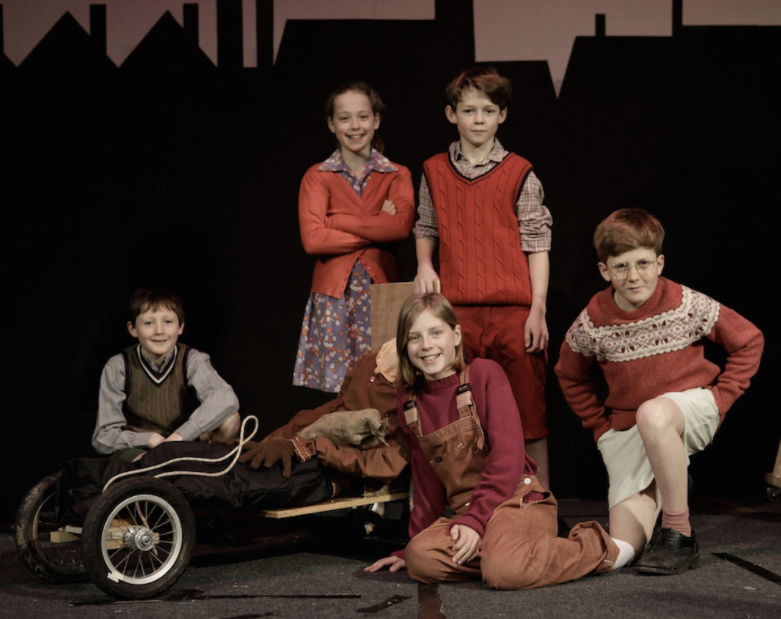 Parents who want their kids to remain childlike for as long as possible and like the idea of a modern Swallows and Amazons schooling with lots of outdoor fun. Families looking for a proper boarding school (albeit one who listens to parents and adapts) which sets children up well for senior school, and Londoners happy to pop their kids on a bus on Sunday nights. Not for: Seriously shrinking violets, although I am assured that children who may struggle at first are nurtured and ultimately thrive. Parents who demand aesthetic perfection – yes, I have met a few – the school isn’t super-glam, nor are there month-long cricket tours to Brazil or South Africa. These are shunned in favour of more local sports tours to a school in Jersey. Not for those who aren’t keen on going on to boarding school. 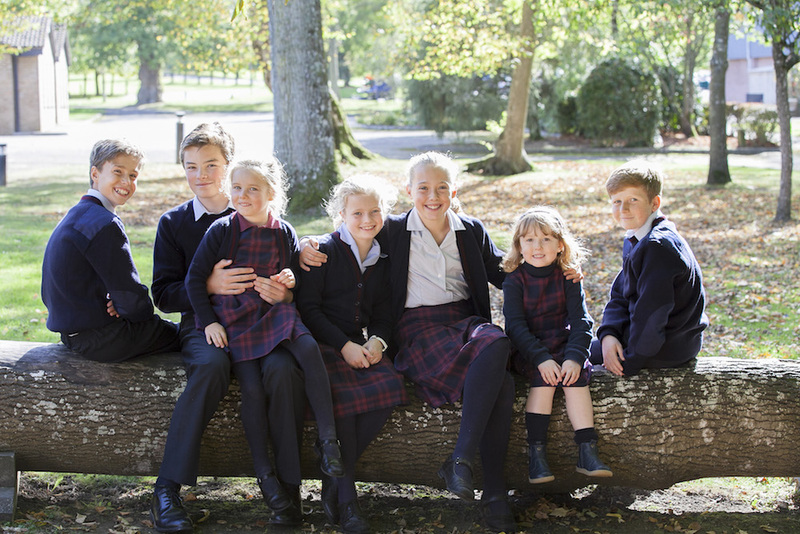 While Port Regis welcomes those who want to be exclusively day pupils, nearly all Year 7 and Year 8 children board and almost 100% go on to boarding school at 13. Dare to disagree? 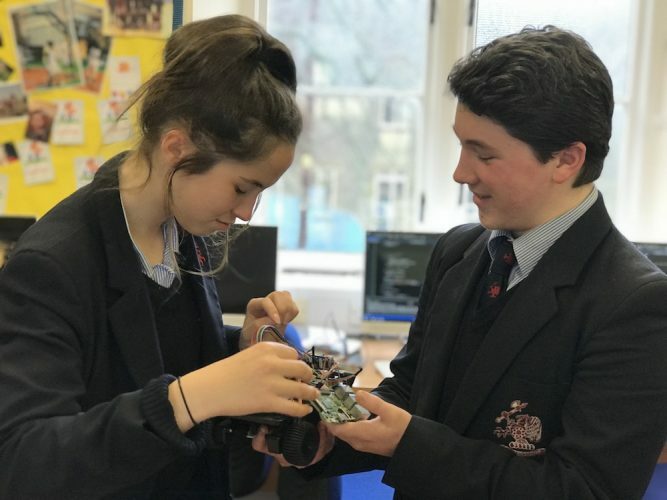 You can arrange a visit at any time, but the next Open Morning is Saturday 9 February 2019, 9.30-11.30am, followed by their Scholarship Morning on Sat 2 March. There is also an Open Morning for The Hive (Early Years) on Friday 1 March, 10.30am-11.30am. Book here.